The financing of the project of crossing of the Atlantic breaks up into two parts. The first consists with the financing of the boat itself which was assured almost completely thanks to the own capital stocks or thanks to the assistance close friends. The second part comprises all that is necessary to the crossing but which was not essential to the boat. It is for example the satellite telephone, the card reader, embarked data processing (computer) and even the bulky tanks. A commercial version would not have indeed needed reserves of 1300 liters. Also this inventory the means of safety enter as the beacon of distress or the inflatable buoy of cockpit. A large part of this shutter is now found, but there remain nevertheless expenses to be covered inherent in the dimension of the adventure. It is obviously necessary still to think of logistics, the presence with the Grand Pavois with the expenses that involves, without counting that to devote itself to this exceptional project prevents somewhat the normal occupation. One will find on this page a small word for each sponsor summarily presenting his activity and possibly his intervention. The classification of the various sponsors and partners is completely random and at all does not reflect their degree of implication nor of seniority. That they all are thanked for their participation. The Natural Reserve of Martin Saint is a double partner, as well for his financial participation as for the operations which will be carried out with it. Indeed, the sensitizing of the young people to the environment, mission first of a reserve, will be widened at the time of this crossing in the marine environment in general. Telephone relays will take place since the medium of the Atlantic with the young people of Saint Martin. Company BIP, specialized out of building materials for house, tilings, wood, plumbing, largely contributed to the supply of the essential teak wood for the smooth, frameworks of doors, doors, tables, etc like financially. Automobile dealer with Saint Martin of large French and American marks, this company could not remain indifferent facing a primarily human challenge and especially technique. Its assistance was appreciable in the logistical support provided at the time of the presence in 2007 to the Grand Pavois. Company of accountancy, it contributed to the financing of the project. The Saint Martin Week became the support media of the project and strongly contributes to the diffusion of information. During the crossing, it will relay the official statements on line ocean and will thus keep the population informed of the voyage. 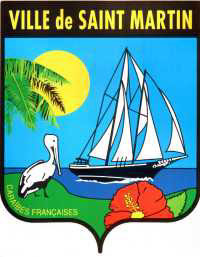 The Marina Port La Royale, located mid of the town, is a place of choice for the presentation of the boat. This sponsor gracefully placed at the disposal a quay for this demonstration. “Bali Bar” and “La Belle Epoque” are two magic places of the Marina Port La Royale in front of whom the official presentation of P214 proceeded that they have sponsored.